Ah, the beginning of the school year. This is my... 9th or 10th year of teaching (it depends on what you count) and I still love it. I'm lucky. I have my students everyday for 55 minutes for 18 weeks. The students range from 10 years old to 15 years old (6th-8th grade). I love middle schoolers. I have taught elementary school before in the past, but middle schoolers are my favorites. Do you remember being in middle school and how traumatic it was for you? That was more than 20 years ago, but I still remember trying to fit in. I believe that's why I love these people. They have the world in front of them! To start off this year, my 6th through 8th graders each worked on some drawing exercises. 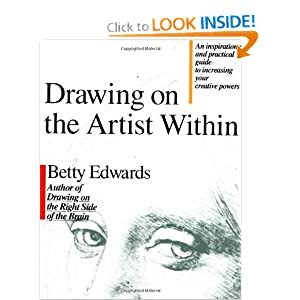 We work out of the books "Drawing from the Artist Within" and "Drawing on the Right Side of the Brain", both by Betty Edwards, and also the book "Drawing with Children" by Mona Brooks. I like to teach the students the basics, such as value shading, line drawing, contour lines, using view finders, etc. We start off the year by filling out information sheets and reviewing the class rules. 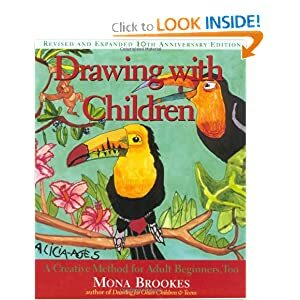 We start off by doing some drawing exercises from the books where the students copy images from one box into the next. This shows them that all drawing is made up of lines, shapes, dots, and the like. They start off simple and get more complex. 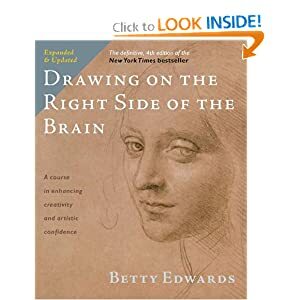 After that lesson, we always work on upside down drawing and go over the left and right hemisphere of the brain. We watch all sorts of wonderful youtube videos and discuss how our minds work. Below is the link for the spinning lady. Is she going clockwise or counter clockwise? This is always fun to watch.